Main Site → Blog → Apple iPhone → Reset iPhone 6: How to Do It? Would you like to know how to reset an iPhone 6? The iPhone 6 is a small computer, and though it doesn’t look like your desktop or laptop, sometimes you need to reset your device to fix problems, or before you sell your iPhone 6 online. How do you reboot or restart a frozen or hung iPhone 6? To restart – turn the iPhone 6 off and back on again. This should be the first step to fix a frozen device. To restart it and reset the iPhone 6, press and hold the On/Off button until the red slider appears. Slide your finger across the slider to turn off the iPhone. 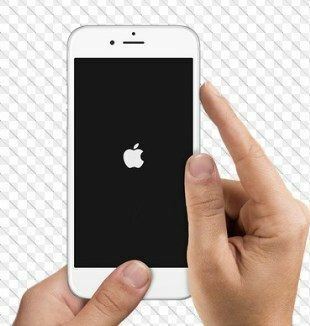 To turn the iPhone 6 back on, press and hold the On/Off button until the Apple logo appears. Turning the iPhone 6 off and back on again doesn’t fix the issue? Is the iPhone 6 is unresponsive when you try to turn it off? In this case you’ll have to reset it by doing the following: 1 – Press and hold the On/Off button and the Home button at the same time. Hold it for at least ten seconds until the Apple logo appears. 2 – Force Quitting an App on an iPhone. If you have a single misbehaving app on your iPhone, you can “force quit”: Press and hold the On/Off button for a few seconds until a red slider appears. Then press and hold the Home button until the app quits. If none of the above solves the problem, you may try to restore your iPhone to its original factory settings. However, restoring an iPhone 6 wipes all of your data. You’ll lose photos, videos, apps, songs, etc. You’ll have to start from scratch after restoring the device. Back up the latest version of the content on your iPhone before restoring it. You can find Apple’s instructions to restore and reset the iPhone 6 here: Restore your iPhone 6. Selling an old or broken electronic device can be a great way of saving money for the next iPhone model or any other new Apple devices (or if you just want some fast cash). iGotOffer.com can help you. We buy iPhones in practically any condition. We will work with you to ensure that you get paid a competitive amount when you sell your old iPhone to iGotOffer. For more information about how we can help you get paid for your Apple devices, call or email us today. This text is actually a pleasant one it helps new internet viewers, who are wishing to understand all the intricacies of iphones. I’m an Apple follower and I’strongly convinced Apple makes every effort to help its customers identify and select the correct models they are trying to sell, to ensure a smooth, easy transaction. Thank you for your blog about Apple.